Search for Red bank condos for sale. Red Bank’s Condos For Sale are of a mixed style. You have upscale riverfront housing at The Bluffs. Yet other condos are in a high rise, Riverview Towers. And the condos in Red Bank at Mara Vista, Union Street Village and Corinthian Cove are upscale, but more traditional townhouse styles. These homes all of offer views of the Navesink River. Also, you can find condos with one, two or three bedrooms. Private docks are available at some of these condos. At times, the Navesink River freezes over. Quite often you can see ice boats on the frozen river when that happens. At the Red Bank condos for sale, you will enjoy peace and quiet in this professional waterfront neighborhood, in the quaint town of Red Bank. It’s a perfect location, because it’s convenient and within walking distance to trendy restaurants, shops, theaters and Riverview Medical Center. In addition, New Jersey Transit’s North Jersey Coast Line stops at the Red Bank station. Students who live in Red Bank will attend the Red Bank Borough Public Schools. These schools educate students in Kindergarten through eighth grade. When children enter Pre-Kindergarten through fourth grade they will attend Red Bank Primary School. Red Bank Middle School educates children from fourth through eighth grades. When students enter high school those students will attend Red Bank Regional High School. Students from the boroughs of Little Silver, Red Bank, Shrewsbury and Interlaken also attend Red Bank Regional High School. 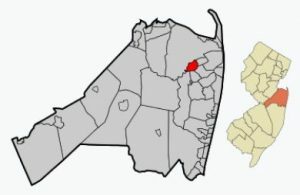 Among other Red Bank schools are Red Bank Catholic High School, St. James Elementary School and Red Bank Charter School. Also, there are many other private schools in the immediate area. Students entering high school may also apply to one of the five high schools in the Monmouth County Vocational School District. Specialized courses are available in fields such as computer science, and biotechnology. Also courses in the medical and science fields are available, among others.